I love mince. It’s easy to use and versatile in terms of the shapes and flavours it can take on. Most of the following recipes work well with any mince: chicken, turkey, pork, veal, beef or lamb. Even fish! A slab of pork mince can be transformed into gingery stuffing for Asian dumplings just as well as it can be used in Western cuisine to make meatballs. That’s how easy and fun working with mince really is! 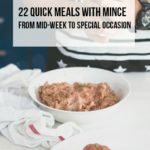 Many of the following recipes can be made with any type of mince: beef, chicken, turkey or even fish – see my Fish mince recipe on hints how to make minced fish mixture. If you are not too sure about the pre-packed kind you can get from the supermarket, visit your local butcher and ask them to mince some fresh for you. Fattier mince blends (pork, lamb and beef) are great for meatballs, meatloaves and dumplings. I LOVE using my food processor to make my own mince. You can buy whole cuts of quality meat and blend them with a small amount of fattier pieces to help your mince retain moisture. The secret to having juicy tender meatballs, dumpling stuffing or meatloaf is adding a blended mixture of breadroll soaked in milk to the mince. 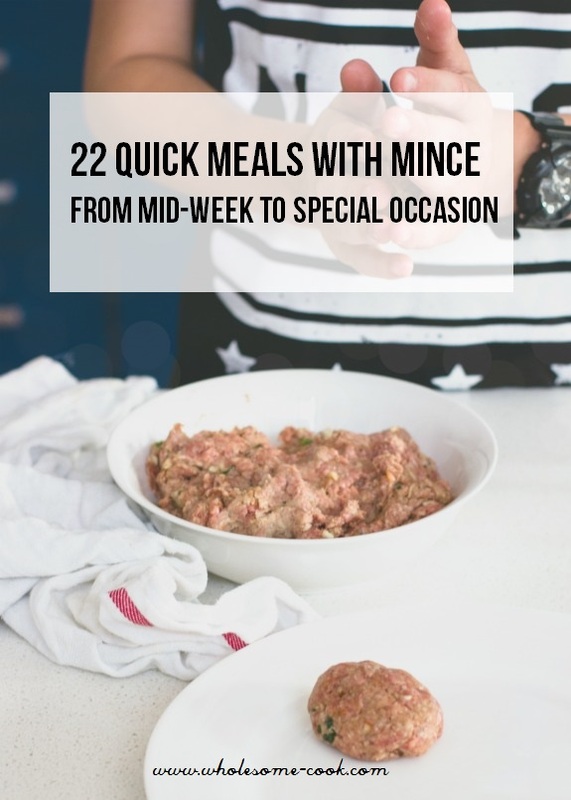 Most mince type are suitable for this recipe: pork, beef, chicken, turkey or lamb. in Soak bread rollmilk until it softens then blenda food processor. Place all ingredientsa large mixing bowl and mix well (you might need to use hands for a better reults. And voila: your basic mince mixture is ready! Soak bread roll in milk until it softens, then blend in a food processor. Place all ingredients in a large mixing bowl and mix well (you might need to use hands for a better reults. And voila: your basic mince mixture is ready! Freeze in batches, or form meatballs and cook (or freeze raw). Use for lasagna, pasta, chilli and meatballs.